We're a little late to this particular party, it has to be said. Apologies for that. Yet while inconvenient the delay in casting a critical eye over Jonathan Blow's next game is not entirely inappropriate. Indeed, the first thing you need to know about The Witness is that it is not a game to be rushed. It isn't designed for speedruns or to cater to those with reflexes like a mongoose. 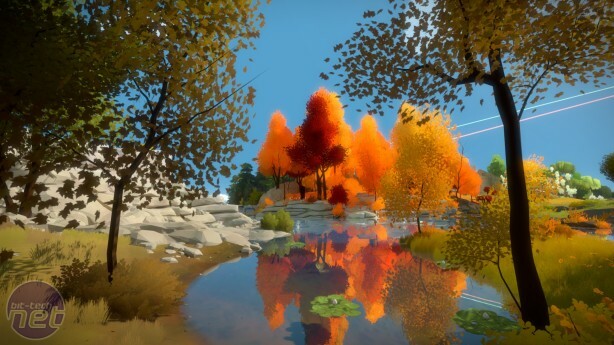 Instead, The Witness is intended for quiet rooms and careful thought, an experience of slow, meditative process. It's a game that focuses in on a single idea, which then spirals out in dozens of directions before ultimately returning to the same point. It is simultaneously one puzzle, and hundreds of them. It is Schrödinger's crossword book, and it is almost brilliant. Almost. 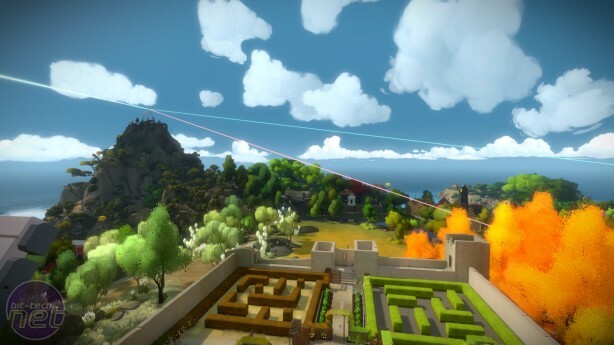 For a game that is at times astonishingly complex, its premise couldn't be simpler. You wake up on an abandoned island, and suddenly there are puzzles. In fact it's even more straightforward than that, because ultimately there's only one type of puzzle in the entire game - mazes. There are hundreds of them sprinkled across the island, the vast majority placed on angular grey screens which juxtapose starkly with their quaint pastoral surroundings. It's like someone smashed a Nintendo 3DS game into hundreds of pieces, and dropped them from a great height on the Isle of Man. Each maze can be completed by drawing a line through it from a circular starting node to a semicircular endpoint. The first few mazes merely involve tracing the correct path through them, but they quickly evolve into more fiendish variations. Some mazes require you to use your line to separate black and white squares. Others have two lines drawn simultaneously. There are around a dozen different puzzle elements, but The Witness further compounds the situation by twisting, flipping and inverting those initial ideas, while many puzzles combine elements to create more challenging conundrums. If you're sat there thinking, "That sounds like a lot of mazes", well, you're right. 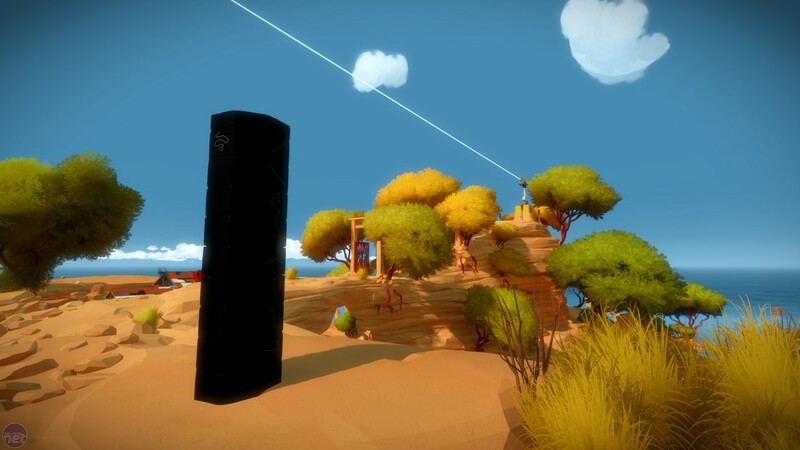 I played The Witness with my fiancée (it's a pretty good game for couples, incidentally, because you don't need to be in control to get involved) and it didn't take long for a running joke of "Oh, look, another maze!" to emerge. I doubt we're the only ones to have a giggle at the expense of The Witness's dedication to one type of puzzle either. It's probably a meme by now. That said, it quickly becomes apparent that these mazes are merely individual cogs in a much larger and even more enigmatic contraption. The Witness is less about finding a route through a 2D plane, and more about learning the symbolic lexicon of the island itself. 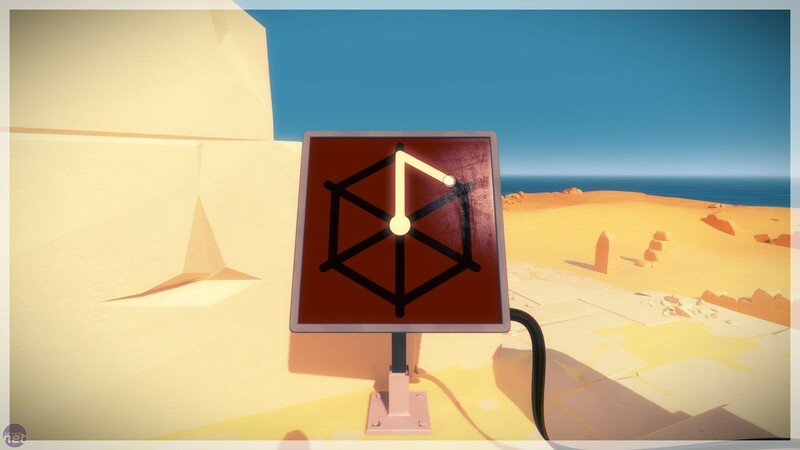 You'll frequently come across puzzles that you'll have no idea how to solve, so you'll explore further and eventually stumble upon a puzzle sequence that introduces you to a new letter of The Witness's iconographic alphabet. Immediately, the light bulb flashes on as an entire sub-category of puzzles falls into place. It's like figuring out what a word means while standing amid a crowd in a foreign country, and suddenly you hear it everywhere. Braid is the latest indie phenomenon to hit Xbox Live Arcade. With a beautiful watercolour presentation and a strange and complex time-control mechanic, it manages to be one of the most graceful and imaginative pieces of gaming we've seen in a long time.